Two Terrebonne women entered pleas for neglecting 83 horses. 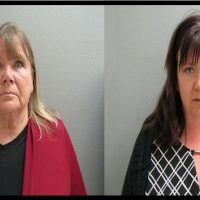 Linda Stream, and her daughter, Christina Hart pleaded no contest to animal neglect charges in exchange for a 30-day jail sentence. A judge still has to sign-off on the plea deal. 16 of the horses had to be euthanized.